For children aged 5 - 11 years. 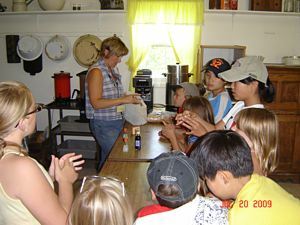 Sunnybrook Farm Museum is again offering a remarkable summer day camp experience for children aged 5-11. 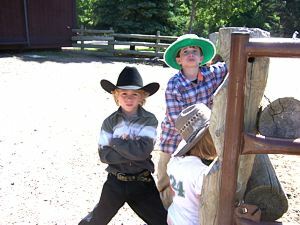 Our summer day camp experience is led by a professional team of interpretive staff. 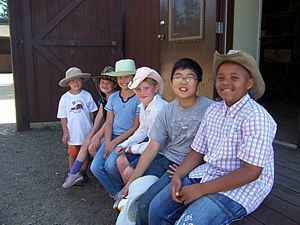 Children will participate in traditional farm activities including learning how to feed chickens, make butter, pump water, cook on a wood stove and take part in fun farm chores. They will explore our 1889 log home, check out the blacksmith shop, and take a ride on the barrel train. 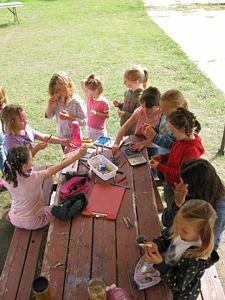 These day camps run July 1 – August 30, 2019 between the hours of 9:00am and 4:30pm, with before and after care available. 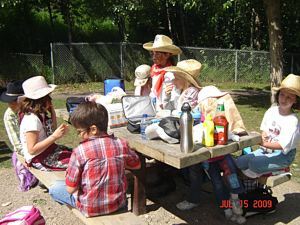 We are also featuring three themed camps: a Pioneer Theatre camp from July 9-13 where the children will produce and perform in a school play, and a Pioneer Cooking camp on July 30-August 3 where the children will prepare a meal for you on the old wood stove, and a new Pioneer music camp from August 13-17 where children will make instruments, learn songs, and perform in a final show! Costs are $185.00 for a week or $42.00 per day. You can register by calling (403) 340-3511.